Another great coloring page from our very popular PUPS series! The pups are having a snowday – how many dogs are there? What activities are they doing? Color, count and learn with the pups. 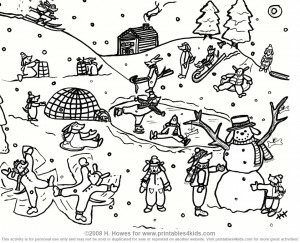 Click on the image above to view and print the Pup’s Snow Day coloring page full size or download the printable Snowday Pups Coloring Sheet as a PDF file.